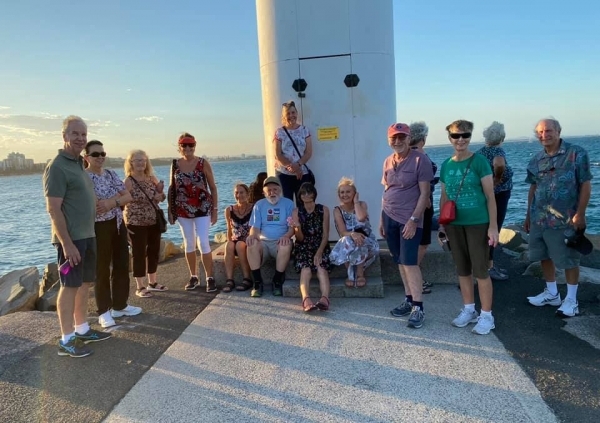 Join the lively50plus crowd at 5.30pm for an evening walk from Loo with a View to the Mooloolaba groyne and back. It's an easy walk of around 4kms. Anyone is welcome just turn up a few minutes early and introduce yourself. Afterwards you can join us for dinner at a local venue, usually either Thai Lotus or the Wharf Tavern. The walk is rarely cancelled because of rain, even if it is raining heavily we can still visit a local eatery. You shouldn't miss us Julia, just look for a group of between 10-20 older citizens. Am hoping to come along to this (weather permitting). I'll wear my red hat and look out for a friendly group, hopefully I'll find you. Julia.